The Dropbox app gives you a simple easy to learn file-syncing and sharing software for iOS devices. The Dropbox iPhone mobile applicaiton is one of the popular tools to upload, collaborate and share photos, images, data, music and videos. It provides a good job of allowing you access to your important files from virtually anywhere as well as sharing large files to anyone. 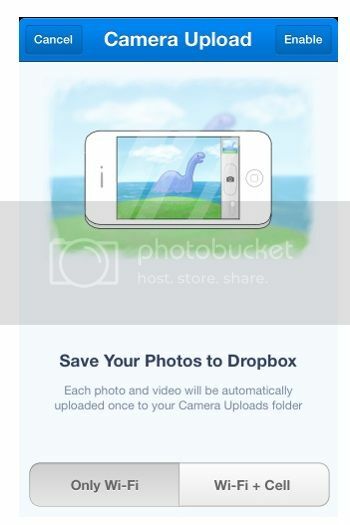 The Dropbox software lets you share any file via text message, email, Twitter, Facebook. You can also Copy the link to the clipboard and paste it anywhere you like. You also have the option to save a photo to your photo library, copy it to the clipboard, or print it. Deleting files, can be done by tapping an ellipsis at the top of the app, then select “edit” to get to the delete option. You also have a search bar that allow you to find files and folders within the application. This Dropbox app for iPhone is Free for download and use. It is stable, reliable and no doubt give a wonderful service.